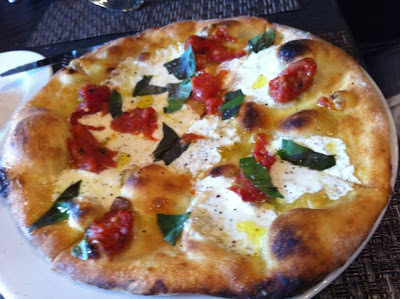 There was a long rain delay at the Yankees game yesterday so Kat, Tracy and I headed to Colicchio and Sons for an early dinner. 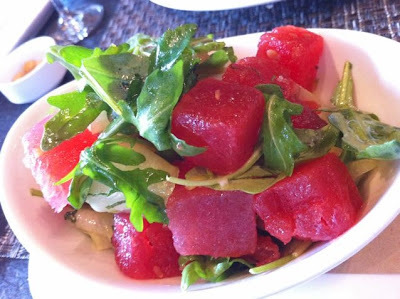 This place is so good, but I always forget about it... and it was completely empty (then again it was 5:30 on a hot July Sunday) We started with watermelon and cucumber salad with jalapeno and lime dressing. 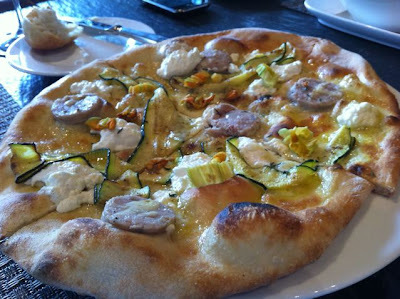 We said it tasted like "summer in a bowl"
Pizza with ricotta, rabbit sausage and squash blossoms. I loved this. 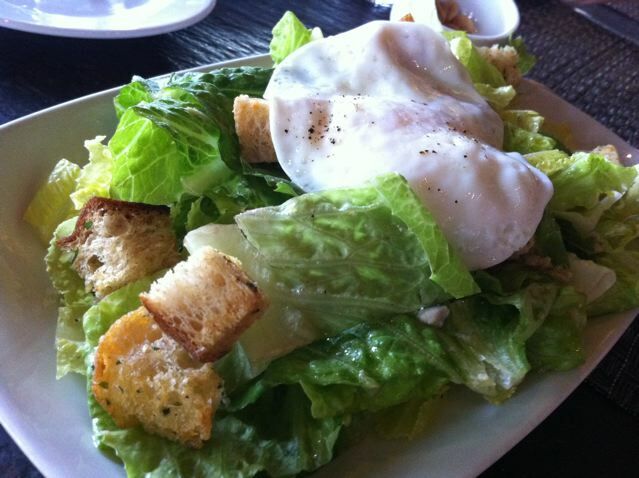 Romaine salad with a fried egg. 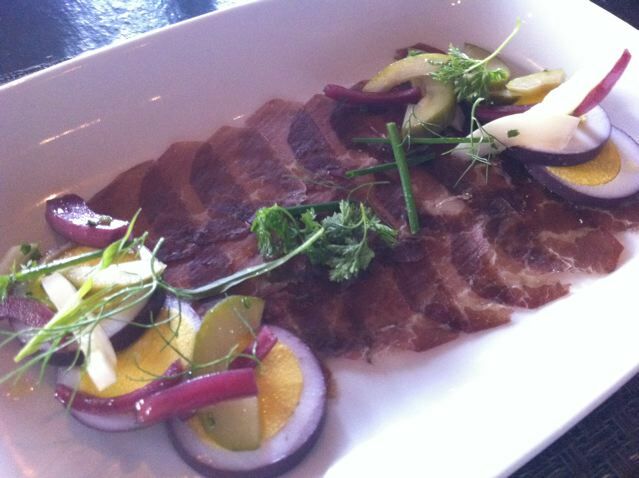 Dried beef with pickled eggs. This was a great combo. Pan seared sole with potato pancake. Too many restaurants do too much with fish. 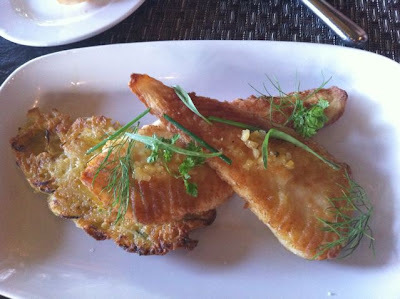 This was so nice and simple, it tasted like sole with just a little lemon. This was a great meal.